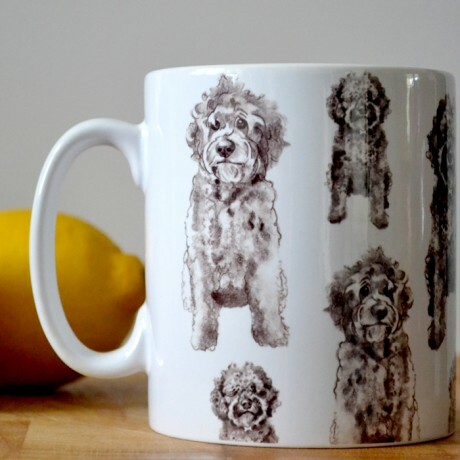 Oodles and Oodles of Labradoodles is never a bad thing, especially when they feature as black and white illustrations on a super useful mug. This great quality ceramic earthenware mug features a digital print of my own design. 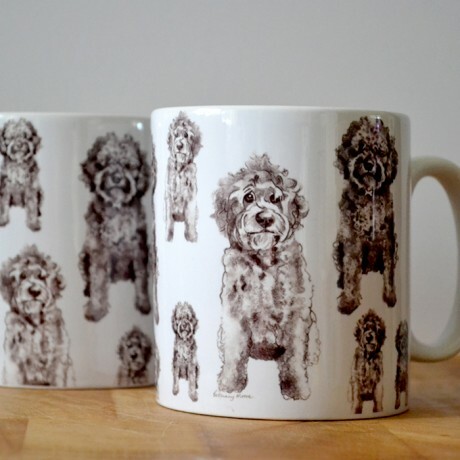 At 330ml they are a great size for all of your hot beverage needs, and when you're done drinking you can pop them in the dishwasher.